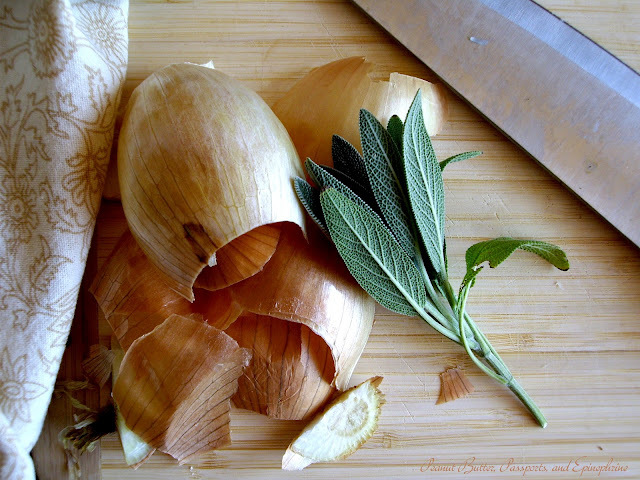 Onions are one of the most under-appreciated ingredients in the world of cuisine, are they not? Like salt or water, we add them to everything; and yet they have a way of disappearing into all we cook, adding such a fundamental dimension that their absence leaves an insatiable void of flavour. However, do we ever take a moment to recognize the onion as an onion? The treasure of the garden and the true culinary hero. A vegetable with a depth of sweet and savory that is unmatched. One which harbors a multitude of antioxidants, phytochemicals, minerals, and antimicrobial properties within its dense and hearty layers. Today I'm paying homage to this invaluable member of the vegetable world with a dish that features the simple onion as star. My Maple-glazed Caramelized Onion Tartine is sweet but utterly satisfying. Top it with creamy goat cheese or with a mild, soft cow's milk cheese (such as Laughing Cow), and with fresh sage from the garden. 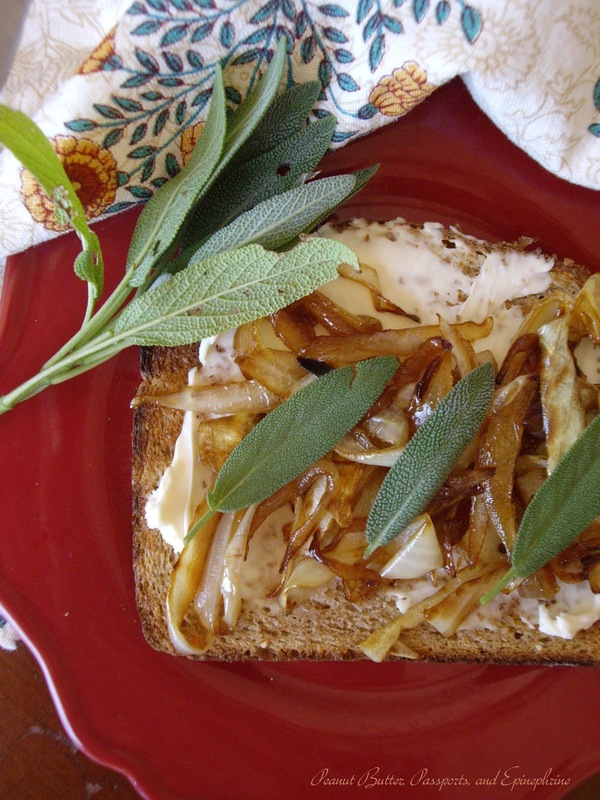 It's the ultimate autumn lunchtime treat, and I hope it does the humble onion justice. After all, what other vegetable has the uncanny ability to make us weep for joy? Peel and cut the onions in half. Slice thinly lengthwise from the root to the tip. Heat the oil and butter over medium heat. Add the onions and stir. As the onions begin to brown turn the heat down to medium-low. Cook the onions for 35 to 45 minutes, stirring occasionally so they don't burn, until very brown. If the pan becomes too dry add a splash of water. If the onions are browning too quickly turn the heat to low. When the onions are caramelized add a pinch of salt and the maple syrup. Cook, stirring, for one or two minutes longer. When the onions are done spread about 1 tablespoon of cheese onto each slice of bread. Top with the caramelized onions. Tear the sage on top (or leave whole as I did in the photos). I use 2 - 3 leaves per tartine. Serve immediately. This is especially good with a well-chilled Riesling. Have leftover Maple-glazed Caramelized Onions? Use them to garnish these burgers, or combine with apples to make these savory tarts. This sounds interesting to me but do you have a suggestion for someone who has an allergy to onions so that the flavor that onions add to all kinds of dishes that you make taste the way you are used to them tasting? Oh no! I'm sorry about the onion allergy. That's a tricky one. If it were me, I would leave the onions out altogether if I were cooking for someone with an onion allergy. It's not worth risking it. 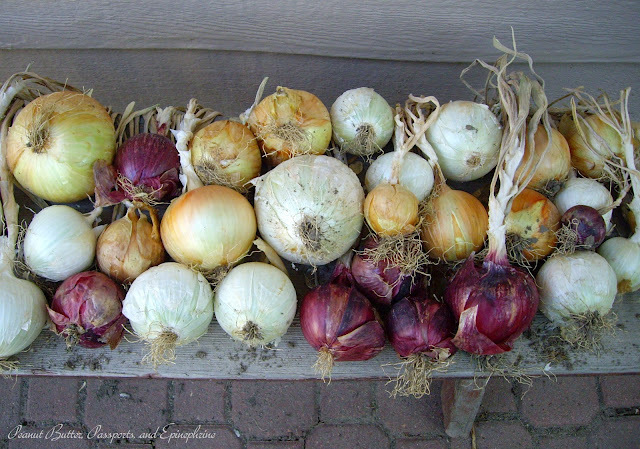 Now, if they're only allergic to "storage onions" (which have a very high sulfer content) then maybe you could substitute a milder onion such as shallots or leeks. I particularly like leeks, and substitute them frequently in my cooking. Make sure that the person for whom you are cooking can tolerate them, of course. If the person is allergic to all onions, I've read that the cipollini onion is not actually a true onion, but rather the bulb of the grape hyacinth. I do not know what the risk of reaction would be to this, because I don't know how chemically different they are from real onions, but it's worth looking into. They taste very similar - a little sweeter and more mild. I've also heard of people using a pinch of dry ginger (or a little grated fresh) in place of onions. I would use just a very small amount. Please know I'm not a doctor and if you have any doubts or concerns please clear it with your allergist first. I hope that helps, and good luck finding a substitute. All hail the onion... it is my favorite vegetable. I can't image many dishes without it. Lovely simple recipe, thanks for sharing it on foodie friday. This looks simply amazing! 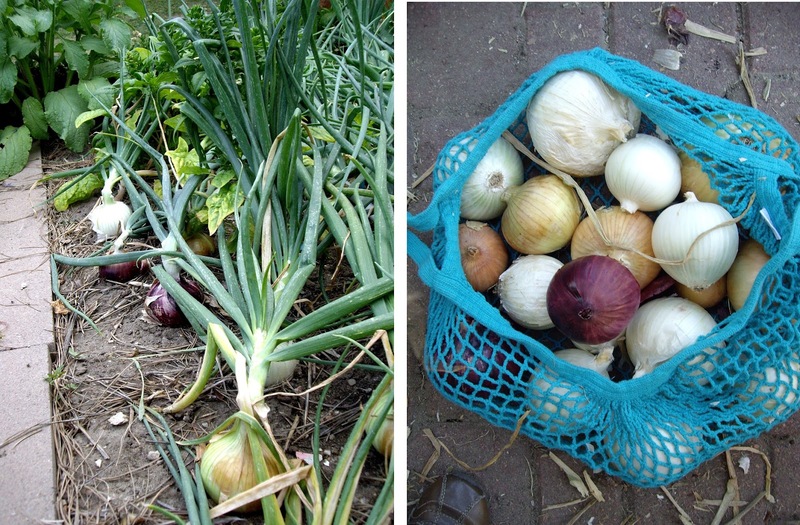 I love growing my own onions. I think like most other veggies, nothing compares to fresh homegrown onions.